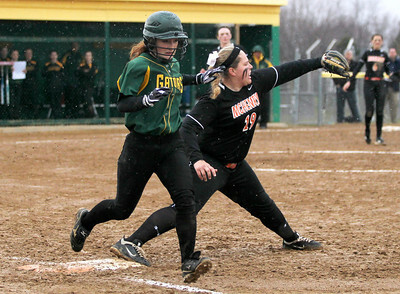 Monica Maschak - mmaschak@shawmedia.com McHenry's Kristin Koepke scores a run during a rainy match at Crystal Lake South on Monday, April 15, 2013. McHenry won 8-1 when officials called the game after the fifth inning. 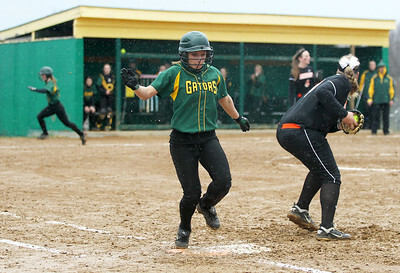 Monica Maschak - mmaschak@shawmedia.com Crystal Lake South's Lauren Gauger reaches to tag out McHenry's Lindsay Cannon at third base during a rainy match on Monday, April 15, 2013. The official said Cannon was safe. McHenry won 8-1 when officials called the game after the fifth inning. Monica Maschak - mmaschak@shawmedia.com Crystal Lake South's Kim Woods hit the team's only RBI, but doesn't make it to first base before the ball in the bottom on the fifth inning of a rainy match between McHenry and Crystal Lake South on Monday, April 15, 2013. McHenry won 8-1 when officials called the game after the fifth inning. 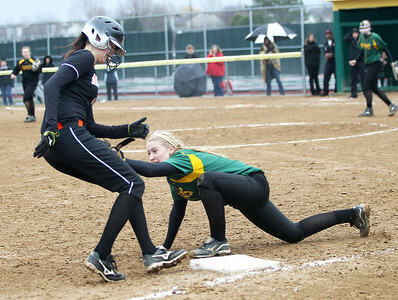 Monica Maschak - mmaschak@shawmedia.com Crystal Lake South's Erin Yazel makes it to first base before McHenry's Kelsea Cichocki can tag her out during a rainy match between McHenry and Crystal Lake South on Monday, April 15, 2013. 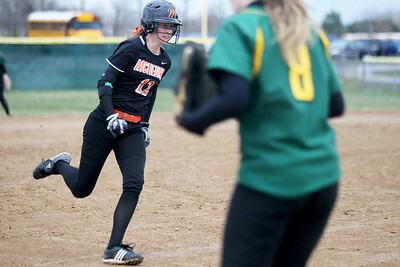 McHenry won 8-1 when officials called the game after the fifth inning. Monica Maschak - mmaschak@shawmedia.com McHenry's Carly Mattson prepares for the ball during a rainy match at Crystal Lake South on Monday, April 15, 2013. 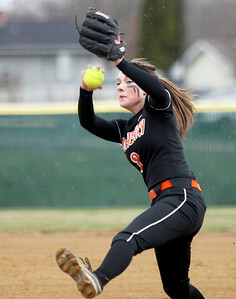 McHenry won 8-1 when officials called the game after the fifth inning. 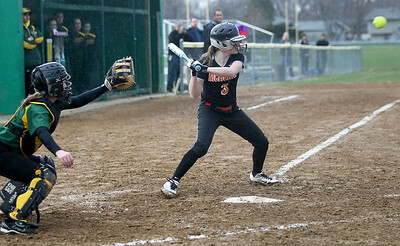 Monica Maschak - mmaschak@shawmedia.com McHenry's Katelyn Sena rounds off third base during a rainy match between McHenry and Crystal Lake South on Monday, April 15, 2013. McHenry won 8-1 when officials called the game after the fifth inning. Monica Maschak - mmaschak@shawmedia.com McHenry's Alex Martens hits the ball during a rainy match between McHenry and Crystal Lake South on Monday, April 15, 2013. McHenry won 8-1 when officials called the game after the fifth inning. 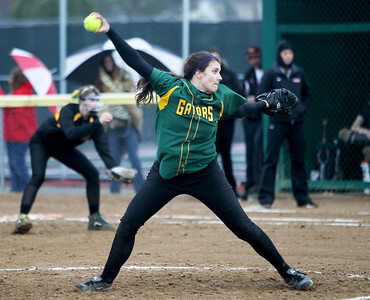 Monica Maschak - mmaschak@shawmedia.com Crystal Lake South's Crystal Massie throws a pitch during a rainy match against McHenry on Monday, April 15, 2013. McHenry won 8-1 when officials called the game after the fifth inning. Monica Maschak - mmaschak@shawmedia.com McHenry's Kristin Koepke throws a pitch during a rainy match at Crystal Lake South on Monday, April 15, 2013. McHenry won 8-1 when officials called the game after the fifth inning. 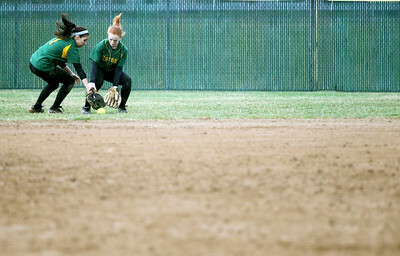 Monica Maschak - mmaschak@shawmedia.com Crystal Lake South outfielders Sam McLean and Erin Yazel rush for a loose ball during a rainy match against McHenry on Monday, April 15, 2013. McHenry won 8-1 when officials called the game after the fifth inning. 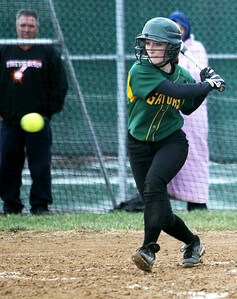 Monica Maschak - mmaschak@shawmedia.com Crystal Lake South's Erin Yazel about to swing for the ball during a rainy match against McHenry on Monday, April 15, 2013. McHenry won 8-1 when officials called the game after the fifth inning. 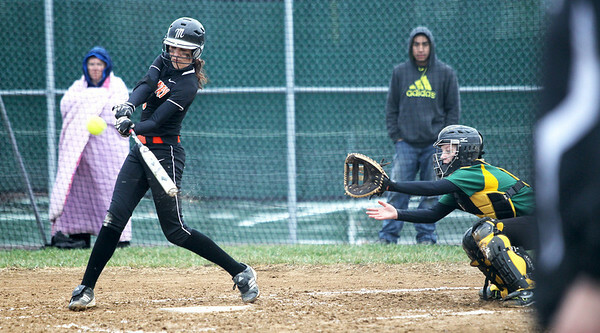 McHenry's Carly Mattson prepares for the ball during a rainy match at Crystal Lake South on Monday, April 15, 2013. 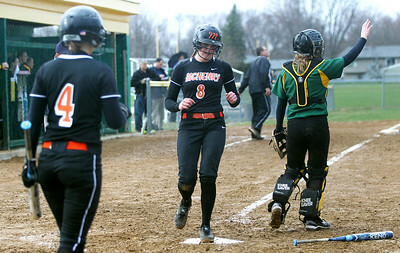 McHenry won 8-1 when officials called the game after the fifth inning.